The beauty of Tinker is that you can start today. That’s because you’ll be making space for one single hunch to bubble up, then you’ll design a three-week experiment to test it. Finally, you’ll review the data you’ve collected and make the go/no-go decision.I designed the 3-T Model specifically to help growth-minded business owners develop their creative ideas, quickly and with a small investment. The 3 Ts are: Trust It, Try It and Tinker. Hunches bubble up from what you think about a lot. Give yourself time and space to think about one of these areas. Take a walk without electronics. Let your mind wander. Make a few handwritten notes. Get back to your desk and block out one hour the next day to develop the idea more. This is the experiment phase. Design a simple experiment to test your hunch. Identify data that you want to capture from the experiment. The experiment should last three weeks. That’s enough time to get meaningful data and not too much that it becomes overwhelming to manage and analyze. At the end of three weeks, analyze your data. Draw one or two conclusions. After you’ve drawn your conclusions from the data you are ready to decide whether to go with a full-scale roll out or not. Consider the risk. This is not to be risk averse, but to ensure that your investment has a worthwhile payoff. Use this simple risk analysis technique: what is the level of risk on a scale of zero to 10? If it’s 5 or below, it may not be worthwhile in terms of return on investment. If it’s a 9 or 10, you may decide the risk doesn’t fit with your mindset. That’s good to know. A risk level of between 6-8 should encourage you to roll it out. What do you need, when and how long? What results will you track? How will you adjust to maximize results? That’s the Tinker part. The business owners we consult with include many eager, creative people. They love what they’ve accomplished with the 3-T Model. Read their stories and become inspired to create your own hunches. Outbooking: in an industry where booking the next appointment is never done, this auto services company owner tried it. Within three weeks the data showed that 95% of his customers were making their next appointment. So, it became part of the customer check-out check list. After 6 months it was clear that about 80% of people were keeping their appointments. This increased revenue for routine service and kept the garage full. Packages not hourly rates. The CPA created a comprehensive package of value and offered it to a small group of long-time clients. 98% accepted the package. It was clear from the data that this was an idea worth rolling out on a larger scale. One year later most of his clients have enrolled in one of his packages. Hourly billing is a distant memory. Revenue and client satisfaction are way up. Fixed fee for interior design. An interior designer had a hunch that offering her services for a fixed fee would be appealing to many prospects who were wary of the open-ended nature of hourly billing. Her experiment was to work with two different prospective clients to develop a very clear statement of the desired outcome. Based on her many years of experience, she determined a fixed fee that would give the clients their outcome and make her a profit. Both prospects accepted the packages she offered. She kept close track of all her work, and afterwards compared this to what she might have charged on an hourly billing method. She was nearly perfectly on-target. The big difference was client satisfaction. Because they knew the clock wasn’t running, they communicated more freely and really feel ownership of the outcome. She has now adopted the fixed fee model for all her work. What one hunch comes to mind as you read this? Write it down, then design an experiment to test it. Give yourself three weeks for the test. Make an appointment with yourself for three weeks from now. Allocate three hours, during which time you’ll analyze the data you’ve collected. Make a commitment that in no more than two days’ time, you’ll decide to roll out or not. 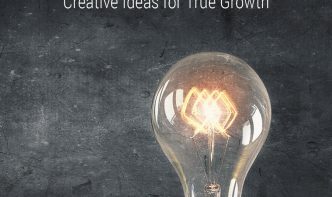 If you need more details, you’ll find them in my book Tinker: How Smart Business Owners Develop Creative Ideas for True Growth.